Silly question, isn’t it? Of course, they are changing. Rapid change is the distinguishing characteristic of our times. Take that rapid change and add to it growing competition, increasing complexity, consolidations at every level, and increasing demands from customers and you have the recipe for a business climate that will turn anyone’s hair gray. This rapid change whirling around every company puts great pressure on organizations to change themselves. Not only must the organization as a whole change, but the individuals within each organization must themselves change, learn, and grow more rapidly than at any time in the past. This ability for an organization and its people to change in response to the changing world around them may be the ultimate success skill for the Information Age. A few years ago, it was good enough to allow learning and change to happen in a hit or miss fashion. Not so today. If your organization and your employees are going to change as rapidly as the environment, they are going to have to get serious, dedicated and systematic about those changes. That means you must organize and manage an effort to stimulate and support positive personal change. In other words, organizations, including yours, need to develop a new capability – the capability to change rapidly. Every organization has a unique set of capabilities. While some of these capabilities are necessary for any successful business, others are unique to that individual concern. For example, every business must be capable of accounting for its money; every business must be capable of generating sales; and every business must be capable of providing the goods or services its customers want. Those are universal and basic capabilities. If your organization cannot do these, you won’t be in business very long. However, the real strength of the business comes from those capabilities that are unique to it, that differentiate that business from its competitors. Some businesses have created great research and development capabilities, others are outstanding at customer service, while others emphasize quality throughout. Some are outstanding in sales, other marketing, still others in management. So, what is proactive learning? And why is it important? Let’s start with a definition: Proactive learning is the process of acquiring new information and/or gaining new insights, and then changing behavior as a result. You’ve experienced it. It’s what happens when you go to a seminar or a conference, gain several new ideas, and then come back and implement them in your organization. Proactive learning takes place at several different levels within an organization. But they are all dependent on an individual employee changing how he/she behaves. The employee who is adept at active learning regularly absorbs new information and acts in different ways as result. It’s the same process you engage in when you attend a seminar, except that it’s required of every one of your employees, not just you. Here’s an every day example. Let’s say you upgraded your software to the next round of upgrades. Now, every employee who works with that software must take in new information, (the changes in the software) and then change his/her behavior to correspond with the new information (they must use the software). This learning process requires that they do something differently then they did before. There is a fundamental and powerful concept underneath the surface of this simple example: Learning to use this software upgrade is not a one-time event. There will be other upgrades soon. And your employees will have to learn (take in new information and change their behavior) again and again and again. While the computer upgrade is an easily-identified culprit, the reality is that the kind of regular change epitomized by the software will likely occur in every aspect of the employee’s job. Software will change, customers will change, products will change, bosses will change, co-workers will change, strategy will change, policies will change, procedures will change. If it doesn’t, your organization is in danger of becoming a dinosaur, wonderfully equipped to deal with a world that no longer exists. In this kind of environment, it’s easy to see that the companies who will be the most successful are those who have filled their offices and cubicles with individuals who are willing, able, and skilled in learning. Now that’s a good thing to keep in mind whenever you are hiring. Hire well, and eventually you’ll evolve into a learning organization. In the mean time, you must work with the employees you have. Unfortunately, not all of them are “change-friendly.” Many were educated in slower times, and view change as a threat to their positions and status. Many resent every attempt to get them to do something differently. Clearly, some organizations, some groups, and some individuals are better at proactive learning than are others. While it’s true that everyone can learn, it is just as true that not everyone can learn equally quickly and effectively. This ability to learn quickly, effectively, and continuously will be one of the most powerful capabilities of the organizations that hope to succeed in the information age. So why is this such an important new competency for the information age? For several reasons. First, we have seen the economic environment change dramatically in the last few years. Every futurist I read or listen to has predicted that the rate of change will continue to accelerate in the near future. That means that if you have witnessed a great deal of change in your business environment, you probably have seen nothing yet. The ability to change your organization and all the individuals within it will become ever more important. Those organizations, groups, and individuals who excel at learning will have a strategic advantage over those slower to change. Not only is the institutionalized competency of proactive learning a strategic imperative but it is also a powerful fringe benefit for your employees. One of the biggest problems for growing organizations in the last few years has been the challenge of attracting and retaining good employees. One of the things that attract employees to an organization is their perception that the organization is headed for success and is willing to invest in its employees along the way. Helping your employees gain new skills or deepen their current capabilities is a powerful way to show your commitment to the future and your investment in your employees. Helping them learn to learn is viewed as a powerful fringe benefit. So, creating this learning capability within your organization and instilling the capability at every level in the organization provides a double benefit: it’s both a strategic advantage as well as a powerful fringe benefit. This all sounds good, but how do you do it? Here are four simple steps to start the transformation. Develop a compelling vision for the company’s future and show your employees how they can be a part of it. 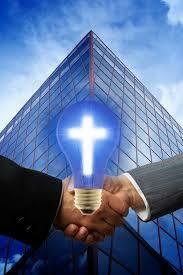 A vision is a description of what the company can be in the future. By describing a future that is different then today’s you provide a reason for every individual to grow: the organization needs them to become something better than they are now. The difference between your vision for the future and your current situation is clearly an opportunity for the different pieces of the business to grow and expand. One of the core principles upon which proactive learning is based is this: that adults don’t learn unless they want to eliminate some pain or achieve some gain. As long as everyone is content with the status quo there can be no serious growth. Your job, if you’re going to build this capability of active learning, is first to instill some discontent. The individuals within your organization must want to be something that they are not now. The more challenging and exciting is that vision, the more likely it is that the individual will want to hop aboard and be motivated to change. So, challenge the organization with your vision of the future, and see to it that every individual knows that you expect him or her to grow in their job, so that they can be a part of it. It is not enough merely to instill the vision; you must also enable the learning. That means that you must invest time and money in the learning process. That can mean something as a simple as creating a budget item for “training and learning” and allocating money for this process. It can also mean creating policies that reimburse employees for job related learning. It can mean investing in outside trainers, classes and courses, and continuous growth programs. It can also mean policies which allow for released time for seminars, retreats and training programs. Begin to instill this capability in your organization by mandating personal growth. Write into every job description a phrase that says every employee is expected to continually grow in their capabilities to do this job better as well as to expand their knowledge of other jobs within the organization. Make learning a strategic initiative. Manage it like he would any other strategic issue. Give it lots of conversation. Mentioned it in newsletters and memos. Write it up in the annual report. Talk about it at employee meetings. Create learning lists for individuals and small groups. This is a list of the things that they need to learn in order to do their job more effectively. Let everyone know from the top to the bottom that continuous personal improvement, i.e. active learning, is a necessary part of everyone’s employment in your organization. Let everyone know that coasting along with last year’s knowledge and last year’s capabilities is no longer acceptable. Lastly, be a model of the kind of behavior you expect everyone with in your organization to mimic. Let people see you learning and growing. Let them see you invest in your own development. Let them see you go to seminars, be involved in CEO round table groups, read books, periodicals, and go to training courses. Become a model for the kind of proactive learner you want your whole organization to be. Implement these four strategies, and you’ll begin to instill the number one competency for success in the Information Age into your company. 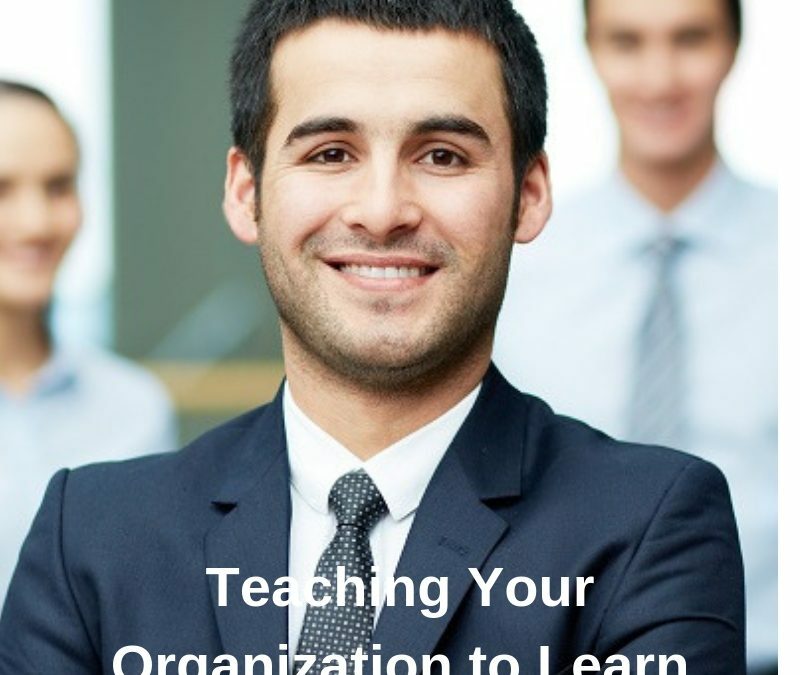 You’ll begin to turn your organization into a learning company. Complete this quick assessment to determine how well your organization has embraced active learning. Answer Yes or No to each question. Do you have a budget for training/learning? Is the budgeted amount larger than 3 % of payroll? Do all employees know that they are expected to continually improve their capabilities? Are employees regularly evaluated on how well they are learning and gaining new skills? Does your organization have a compelling vision of what it could become? Are all your employees aware of that vision? Does each employee understand how he/she can contribute to attaining that vision? Does each employee understand the benefit to them for moving the company toward that vision? Do you encourage employees to expand their skills via reimbursement or released time programs? Do you model the kind of continuous personal growth that you expect of them? 9 or 10 times, you are in great shape. 7 or 8 times, you are well on your way. Focus on adding the missing pieces. 5 or 6 times, you are off to a good start, but you need to spend more time moving your organization toward active learning. Under 5 times, you are lagging behind. Time to get serious about building this competency into your organization.